Available technologies the third-generation Transit Connect Wagon include adaptive cruise control, blind-spot information system with cross-traffic alert and a lane-keeping assist. DETROIT -- Ford Motor Co. wants to position the third-generation Transit Connect Wagon as a less expensive, more capable minivan alternative to help expand its share in the commercial vehicle market and improve Canadian sales after a drop in 2017. The seven-seat wagon variant of the segment-leading Transit Connect, introduced Thursday ahead of the Chicago Auto Show, comes with a new front end, new powertrain and a host of new driver-assist features. It's scheduled to go on sale this fall and will be equipped with Ford's new 1.5-litre EcoBlue diesel engine that's expected to use 12.75 litres of fuel per 100 kilometres (30 mpg). 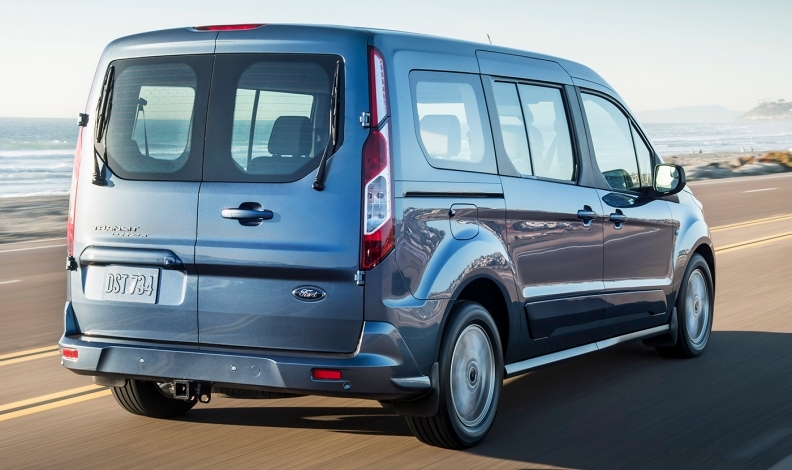 Ford will be targeting active baby boomers who might not be able to afford a traditional minivan or large crossover. "It's an entry-level product that brings customers into the fold for the first time," said John Ruppert, Ford's commercial vehicle sales and marketing manager. "Small vans have turned into a really big business for us." Ford introduced the Transit Connect to Canada and U.S. in the 2010 model year and last redesigned it in 2014. In 2017, Ford sold 2,651 Transit Connects in Canada, down 5.3 per cent from the year before. In the United States, Ford sold 34,473 Transit Connects, nearly double the sales of the second-place Nissan NV200 there. The midcycle retooling for the 2019 model year focuses heavily on new driver-assist technology. It will come with automatic emergency braking standard, as Ford rolls out that feature across its lineup. It's part of a pre-collision and pedestrian-detection assist package the automaker says is segment-exclusive. Available technologies include adaptive cruise control, blind-spot information system with cross-traffic alert and a lane-keeping assist. It will feature a standard embedded 4G LTE modem that provides WiFi for up to 10 devices, part of a companywide initiative to connect every vehicle by 2019. The Sync 3 infotainment system is an available feature. The Transit Connect Wagon will come standard with a 2-litre four-cylinder gas engine mated to an eight-speed transmission. The 1.5-litre diesel, also paired with the eight-speed gearbox, is an available option. Officials say the vehicle will offer a class-leading towing capacity of 900 kilograms (2,000 pounds) when equipped with an available trailer tow package. 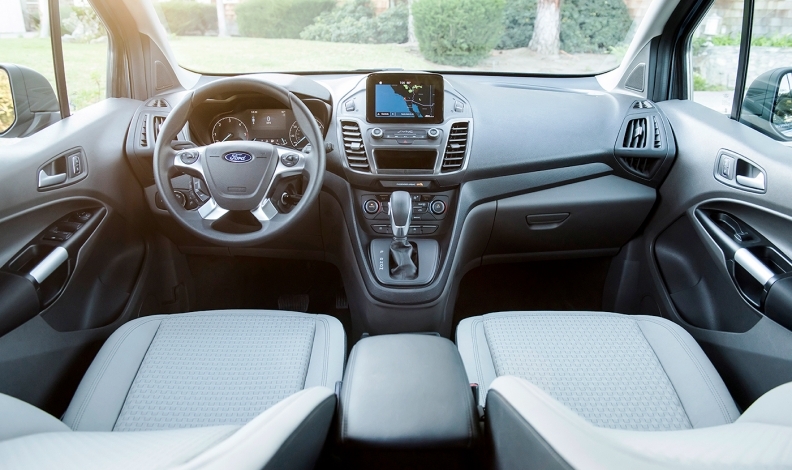 The interior includes a redesigned instrument panel and centre console with an available 6.5-inch touch screen. The second- and third-row seats can fold flat, and the floor is 61 cm (two feet above) the ground for easy loading and unloading of items. 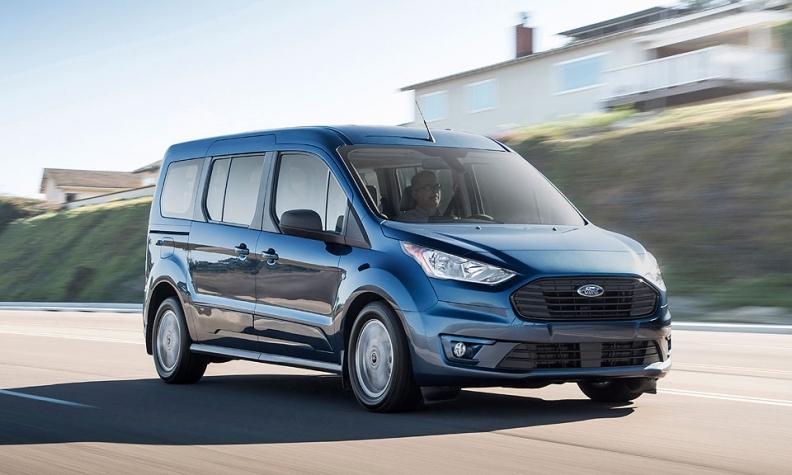 "From being easy to get in and out of, plus flexible seating and cargo space, Transit Connect Wagon makes it easy for Boomers to keep enjoying family time or explore new hobbies and careers," Mark LaNeve, Ford's head of U.S. marketing, sales and service, said in a statement. In the United States, the Transit Connect Wagon comes in two wheelbases and three trim levels: XL, XLT and Titanium. The short wheelbase will not be available in Canada. The automaker also offers a cargo van variant of the Transit Connect; a freshened version also is expected to be unveiled this year. The vehicle is part of Ford's dominant lineup of commercial vehicles, including the F-series pickup and Transit large van.